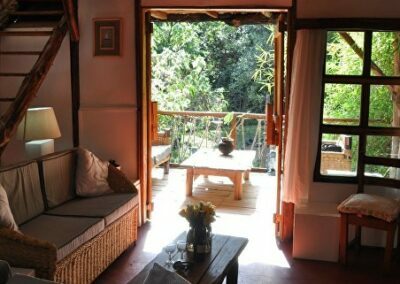 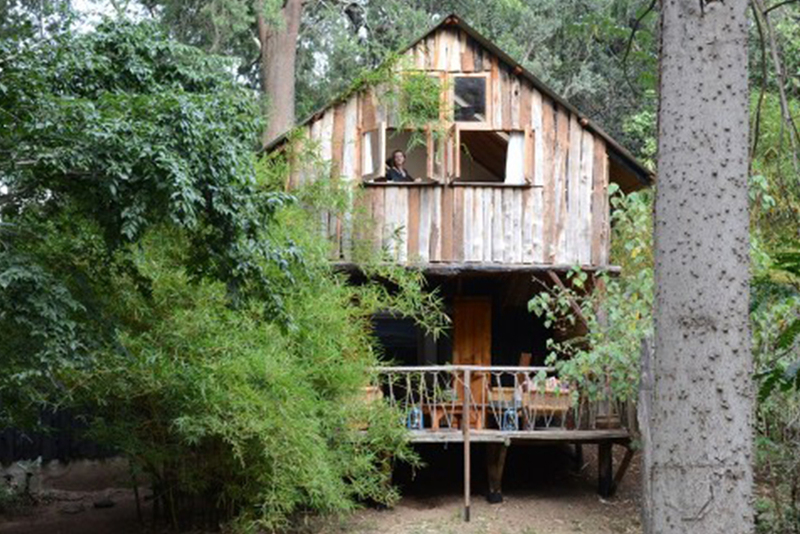 A charming upcountry retreat designed and built into the riverine settings of the Tamtrout Farm, Creaky Cottage is in a loop of the Burguret River. 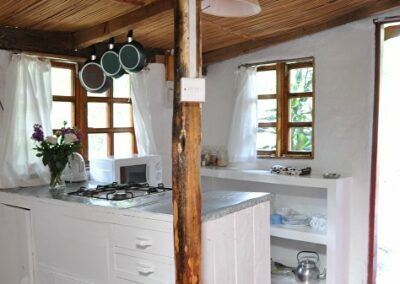 With the rushing waters flowing around three sides of the cottage, this unique property sleeps up to 6 guests in two double bedrooms and a twin loft, with a shared bathroom. 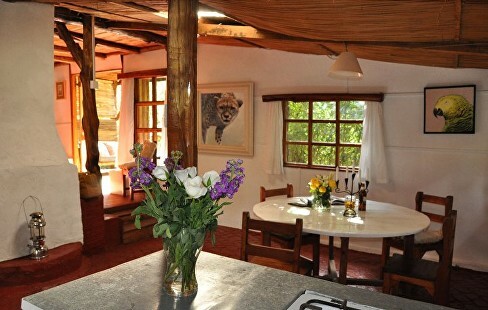 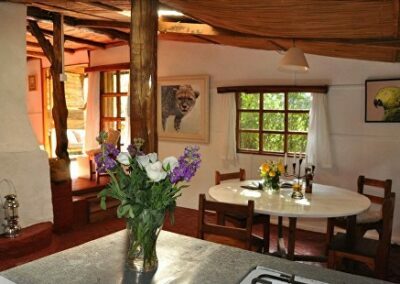 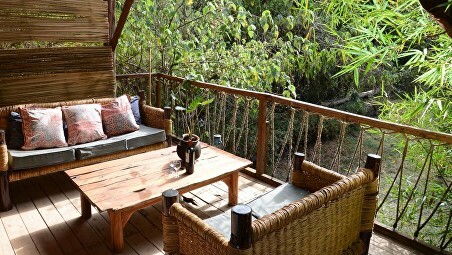 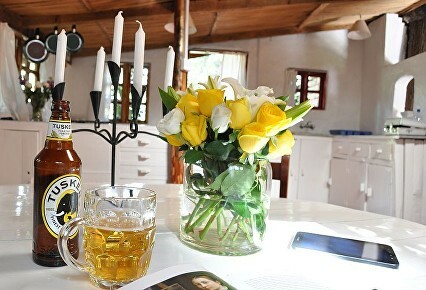 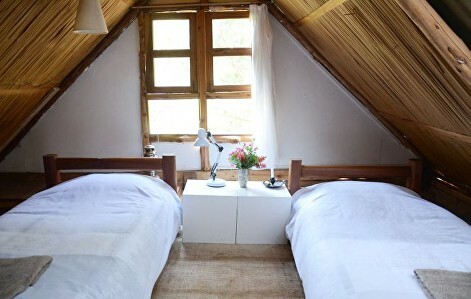 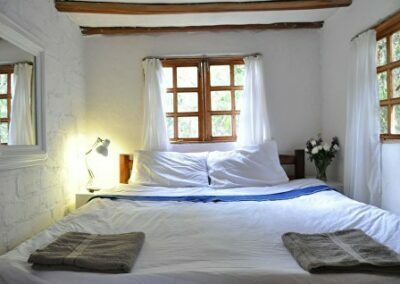 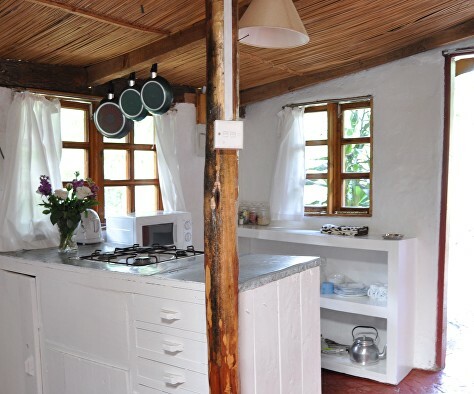 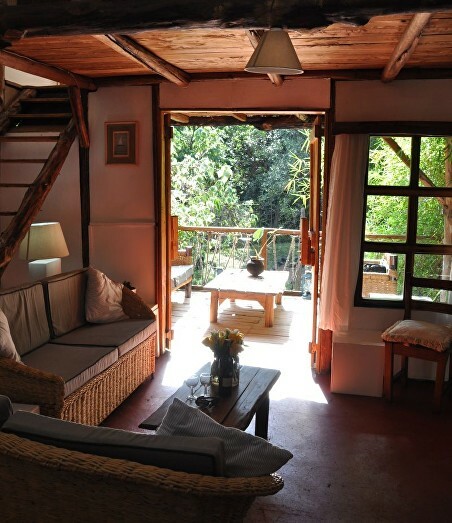 Featuring a cosy living room with a fireplace, a spacious veranda for enjoying one’s sundowner and a fully-fitted kitchen, Creaky Cottage is an ideal Nanyuki retreat – with excellent fishing (including trout of course), multiple wildlife conservancies for unbeatable game viewing and a relaxed and friendly social scene. The cottage is only 200 metres from the farm’s own trout ponds and the famous Trout Tree Restaurant, which is built up around a huge Sacred Fig Tree and is especially renowned for its delicious variations of fresh and smoked trout. 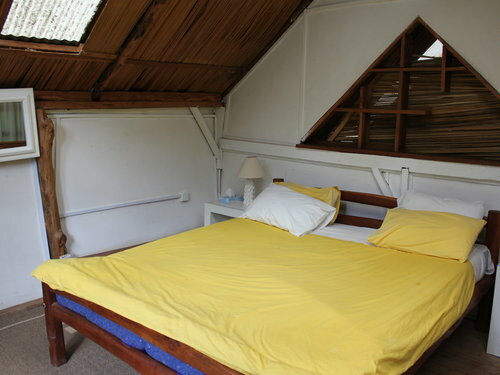 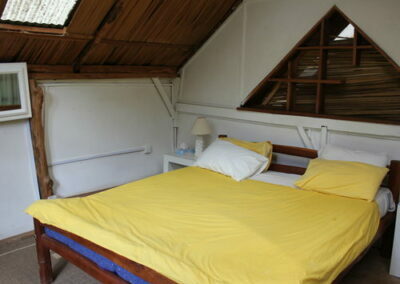 Creaky Cottage is centrally located in Burguret and the opportunities to explore the region are endless. 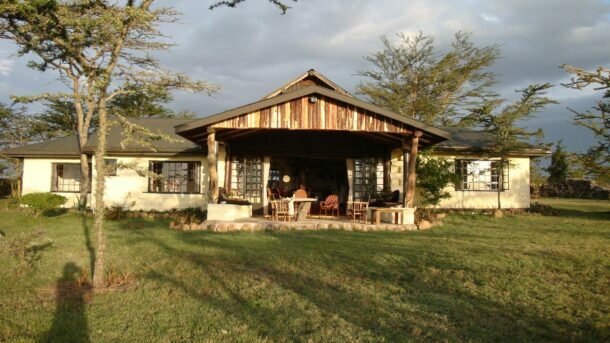 Why not head into the Ol Pejeta Conservancy and see the chimps and White Rhino? 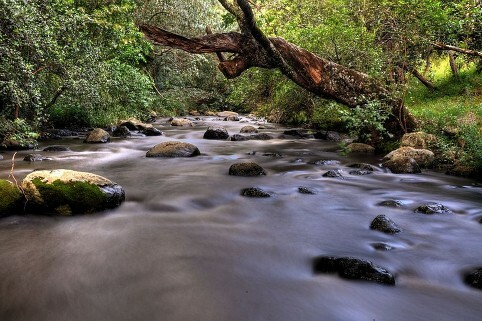 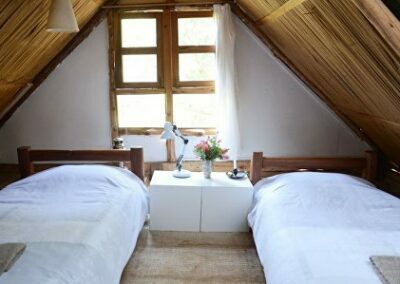 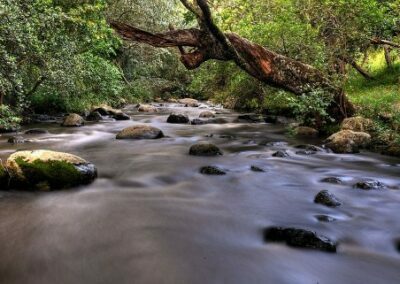 What about heading into Mount Kenya for a game drive in the amazing Forests, playing golf at Nanyuki Club or just chilling and having meals at the famous Trout Tree restaurant? Yup, all this is possible from Creaky and if your heading upcountry and need a layover, Creaky Cottage is the one for you.